This innovative embedded product from Embionics facilitates customer not only to keep track of the visitors in the premises but also to manage its huge database with search options provided in the product. The usage of product avoids the hassle of using long notebooks and maintaining those for the future reference. 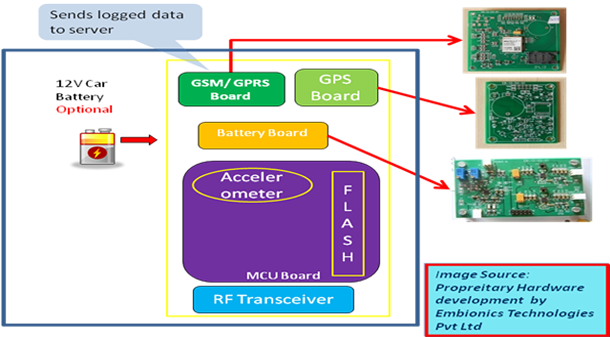 This sensor fusion platform is apt for home automation from security perspective. The system encompasses various sensors on board viz. PIR, Gas, Humidity, Fire etc. which get triggered on the occasions. It not only warns user through smart devices but also triggers precautionary measures to protect your premise. This is GPS based tracking system used for personal as well as vehicle tracking system for logistic purposes. The system is complete in-house development where in all hardware & firmware design as well as proprietary server-client protocol is defined by Embionics. All the tracked data is interpolated with special algorithm and sent to server from which a trajectory of the object can be traced with better accuracy. This is a electronic sensor based system which senses the presence of human in the defined region. This can be sued to automate various home appliances like light, fans etc. turn on/off based on person's presence or absence. Multiple devices up to the load of 200W can be operated at once. 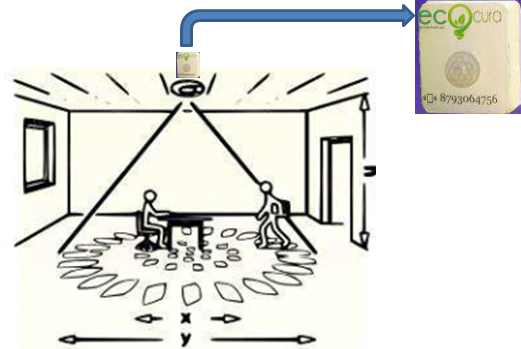 The operating range (3m – 20m) and sensitivity (Low motion – High motion) of human presence detection is configurable and can be set as per the deployment scenario. Initial purpose of this solution is energy conservation. This can be extended to premises security where the device event data can be logged and/or used to operate warning devices viz. buzzer, camera.